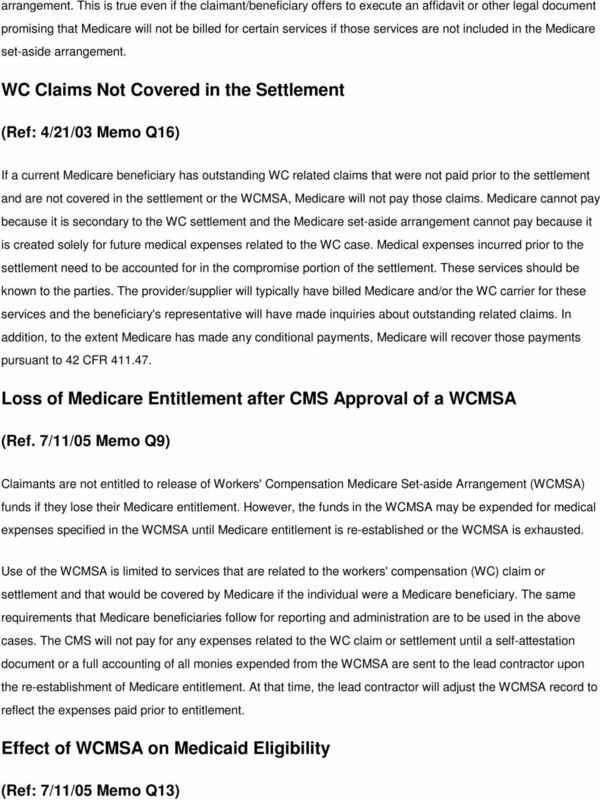 Download "No Medicare Payments for a Claimant's Work-Related Injury or Disease until the WCMSA has been Exhausted"
5 exhausted. 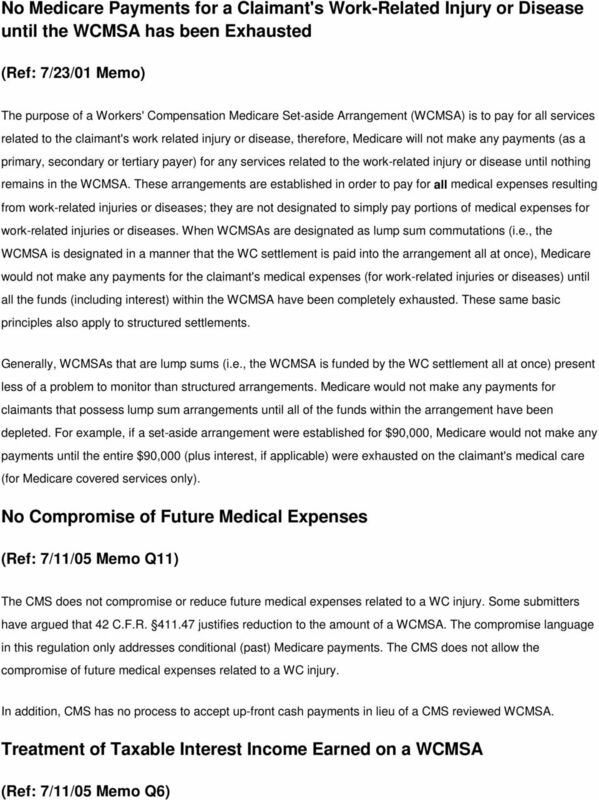 The only exception to establishing a WCMSA would be if it can be documented that the claimant does not require any further WC claim related medical services. 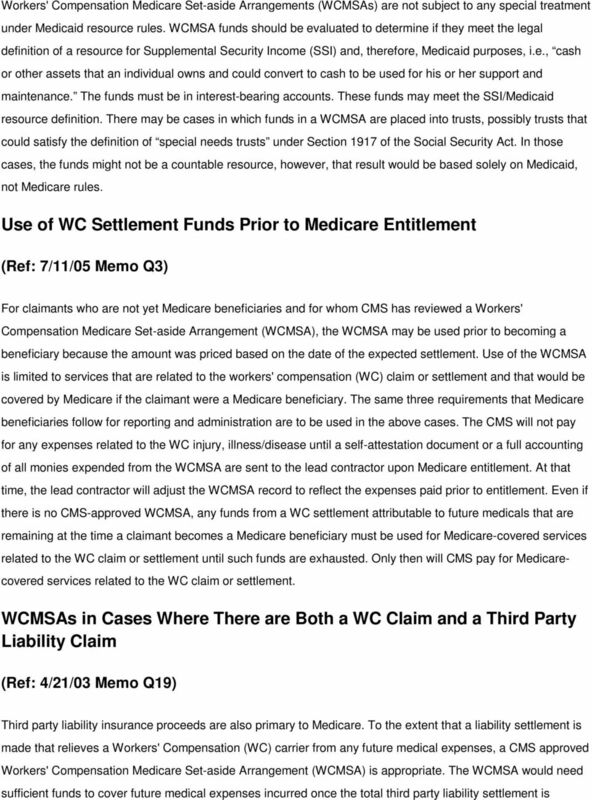 A WCMSA is also not recommended if the medical portion of the WC claim remains open, and WC continues to be responsible for related services once the liability settlement is exhausted. 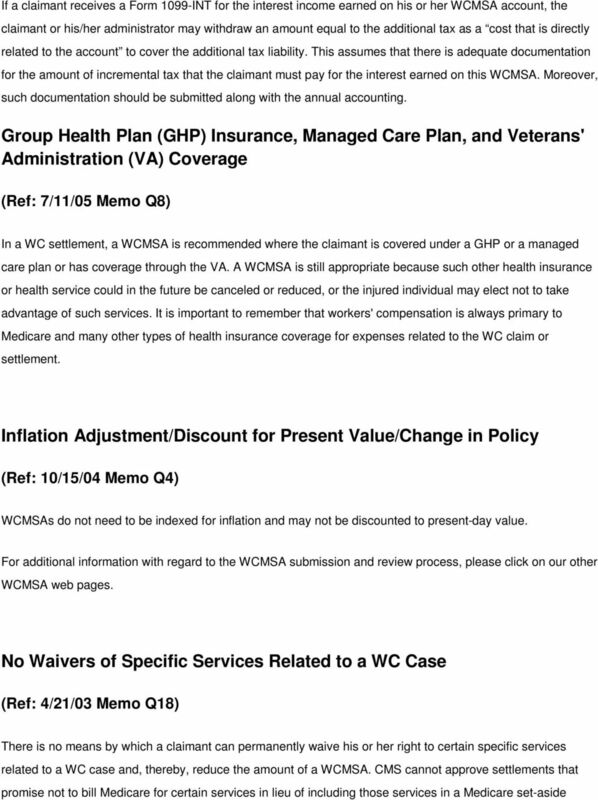 For additional information concerning the Workers' Compensation Medicare Set-aside Arrangement (WCMSA) process, please click on the links to our other WCMSA pages Workers' Compensation Medicare Set-aside Arrangements Ethical and Legal Considerations (Ref: 4/21/03 Memo Q12) When an attorney's client effectively ignores Medicare's interests in a WC case, the attorney should consult their national, state, and local bar associations for information regarding their ethical and legal obligations. 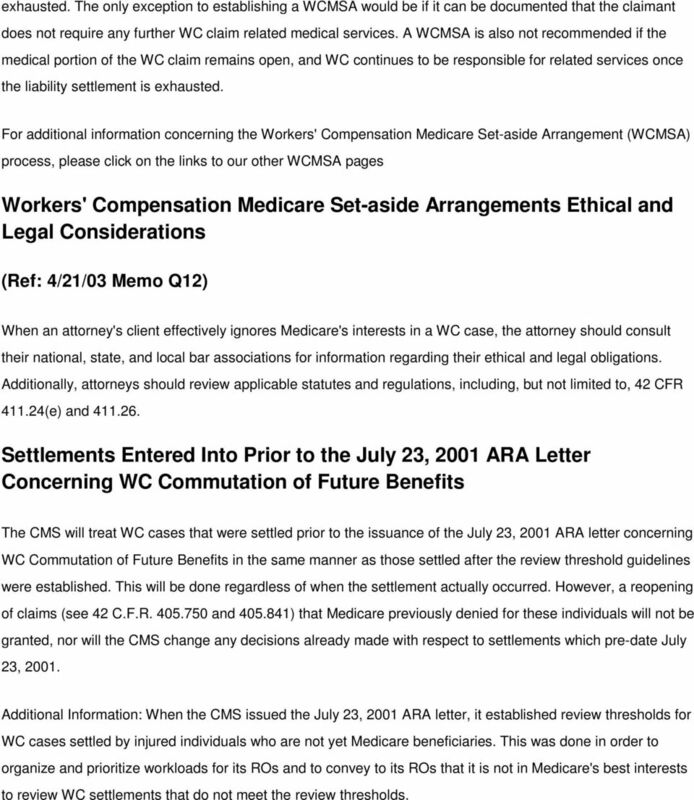 Additionally, attorneys should review applicable statutes and regulations, including, but not limited to, 42 CFR (e) and Settlements Entered Into Prior to the July 23, 2001 ARA Letter Concerning WC Commutation of Future Benefits The CMS will treat WC cases that were settled prior to the issuance of the July 23, 2001 ARA letter concerning WC Commutation of Future Benefits in the same manner as those settled after the review threshold guidelines were established. This will be done regardless of when the settlement actually occurred. However, a reopening of claims (see 42 C.F.R and ) that Medicare previously denied for these individuals will not be granted, nor will the CMS change any decisions already made with respect to settlements which pre-date July 23, Additional Information: When the CMS issued the July 23, 2001 ARA letter, it established review thresholds for WC cases settled by injured individuals who are not yet Medicare beneficiaries. This was done in order to organize and prioritize workloads for its ROs and to convey to its ROs that it is not in Medicare's best interests to review WC settlements that do not meet the review thresholds.